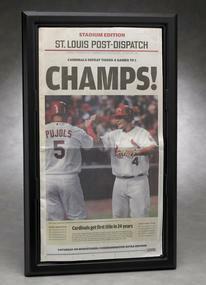 Display your meaningful and commemorative editions. Perfect for special events and rewards. 15 7/8" x 26 1/4" x 3/4". Black Acrylic with Clear Cover. Custom printing available May, 2013. Front Load. Easy to use. 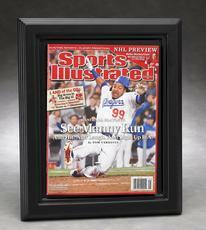 Magazine / Tabloid Display Frame also available. Price includes: Blank Frame. Price subject to change. Contact us for lowest price quote. Ask about our discounts! 11 5/8" x 14 1/8" x 7/8".